Big Foot has died. Our narrator introduces us to an alarming situation in an almost mechanical tone. 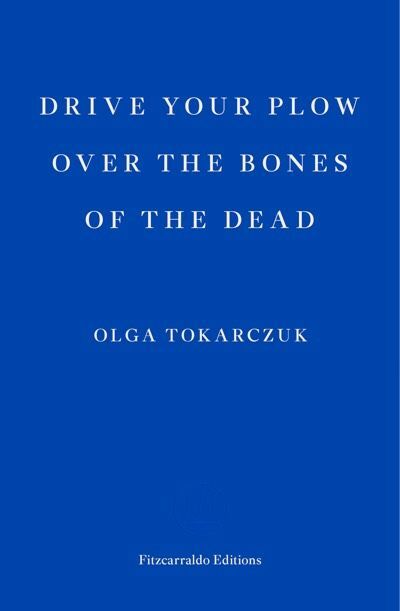 The newly translated noir novel Drive Your Plow Over the Bones of the Dead by Man Booker International Prize winner Olga Tokarczuk is an entertaining one, yet it is not your typical mystery page-turner. Tokarczuk’s master storytelling paired with Antonia Lloyd-Jones’ excellent translation pause the happenings of the plot to delve into contemplation of mankind and the universe. Drive Your Plow guides the reader through horrific accidents, with language that is fluid and accessible yet tainted with an unusual manner of speaking, leaving us to wonder, for a short while, if this story is situated in the present, and then, whether the narrator is out of her mind. The first person narration, used throughout the text, lets the reader in on to the narrator’s thoughts, her witty remarks and astrological musings. We know of her ‘Ailments’, as she dubs her chronic illness, and of her hatred of given names. We accompany Janina – as she does not like to be called – through endless cups of black tea, cosmic calculations and translations of Blake, going back and forth, every now and then doubting her mental sanity. Passages like these, broad reflections on the universe and the place of humankind, are what differentiates Tokarczuk’s work from the lot of the genre. The mysterious and violent deaths seem to fade into the background at times, setting the scene for the Janina’s countless pieces of wisdom and long trains of thought. The biggest mystery is not the numerous deaths of prominent men of the community, but that of the narrator’s “Little Girls”, who turn out to be none other than her beloved dogs. Drive Your Plow Over the Bones of the Dead comes with a strong anti-hunting, pro-vegetarian message that speaks volumes on the problematic habits of humans. An ode to nature and a love letter to animals, Tocarczuk’s novel is the wonderfully crafted story of an animal-loving recluse desperately fighting to make the world a better place. For more on Drive Your Plow Over The Bones Of The Dead, visit Fitzcarraldo. 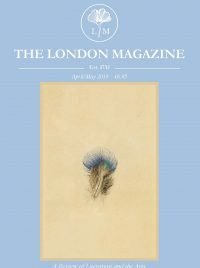 To discover more content exclusive to our print and app editions, subscribe to The London Magazine today from just £17. To enter our current Short Story Prize, go here.